The prescribed interest rates for October 1 to December 31, 2015, remain unchanged on overdue taxes and tax overpayments, and for calculations of taxable benefits and shareholder loans. However, the interest rates on PLOI – Pertinent Loans or Indebtedness –have been reduced this quarter. 1% – interest rate used to calculate taxable benefits from interest-free and low-interest loans provided to employees and shareholders. In addition, this rate is used when corporate taxpayers make overpayments to the CRA. 3% – interest rate used to calculate payments by CRA for tax overpayments made by other taxpayers. 4.52% – interest rate used to calculate interest on pertinent loans or indebtedness. 5% – interest charged by CRA on any overdue taxes owed by taxpayers on income taxes, Canada Pension Plan contributions, and EI premiums. PLOI – Pertinent Loans or Indebtedness – can occur when a loan is received by a non-resident corporation from a corporation resident in Canada, that is controlled by the debtor or other non-arm’s length person. It can also occur when there is an amount owing to the Canadian resident corporation from a foreign affiliate of the Canadian resident corporation that is controlled by a non-resident corporation. Instead of being treated as deemed dividends, on which a withholding tax would be required, the Canadian resident corporation and the non-resident corporation may file an election for the debt to be a PLOI. In that case, the debt is subject to a deemed interest rule under section 17.1 of the Income Tax Act. CRA first listed prescribed interest rates for this type of debt in the fourth quarter of 2013. The deemed interest rules may be used for shareholder loans and foreign affiliate dumping rules. Many of us are blessed to have older family members enriching our lives, but they often require a significant amount of care, and their caregivers can, in turn, require more help. At a time when politicians and potential leaders debate subsidized child care, are we missing an opportunity to discuss whether the tax system is doing enough to recognize the real and increasing costs of elder care? The Issues: There are 5.4 million caregivers in Canada, and close to 60% of them give more than 10 hours of care per week – 40 hours per month – primarily to females over the age of 85 who have a serious illness like dementia. According to a recent study by Statistics Canada, these caregivers, are worried, overwhelmed and anxious. In addition, two-thirds of them incur non-reimbursed expenses of $500 to over $2000 per year. EI Compassionate Care Coverage. As of January 2016, the maximum benefit period for claiming Compassionate Care Benefits from Employment Insurance will increase from the current six weeks to six months. This time can be used for psychological or emotional support; arranging for care by a third party or directly providing or participating in the actual care. To qualify, there must be a 40% or more decrease in income, you must have accumulated 600 insured hours in the last 52 weeks and there is a two-week waiting period. At the time of writing the maximum assistance was $524 per week and so a maximum benefit of $11,880 over 22 weeks is possible. Caregiver Amount. When the disabled person lives in the same home as the taxpayer, it’s possible to claim a Caregiver Amount. For 2015, the maximum claim is just over $4600 if the dependant is not infirm (i.e., age 65 or older and living with you). If the dependant is infirm, the claim is over $6,700. In either case, the claim is reduced by the dependant’s net income in excess of $15,735. It is phased out completely when net income reaches $20,343, if the dependant is not infirm, and $22,436 if the dependant is infirm. If you qualify for the full amount, the real dollar value is just over $1000 against federal taxes payable, and a provincial benefit, which varies by province. Do caregivers need more help to accommodate the seriously ill in their homes? The costs can be astronomical if home modifications are required. 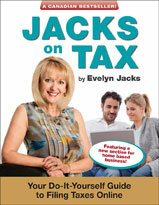 Next time, how to claim those expenses to get tax relief. If you have a university bound student in your home this year, there is plenty of good tax news to help with the financial burden. Once again, it’s important to be aware of opportunities to save or recoup some money, and remember to keep all receipts! Post-secondary students may claim a non-refundable tax credit on their tax return, featuring three parts: the tuition amount, the education amount and the relatively new amount for textbooks. Better yet, if the student is not taxable, the claim for the tuition, textbook and education amounts may be transferred from the student to the supporting individual. Under-used or unused amounts may be carried forward to future years when the student has more income and would, therefore, be subject to more tax (which could then be reduced by claiming the tax credit). or if the student was in full-time attendance at a university outside Canada, for courses that were at least 13 consecutive weeks long, and that will lead to a degree. Eligible tuition fees include admission fees, charges for the use of library or laboratory facilities, examination fees, application fees (but only if the student later enrolls in the institution), charges for a certificate, diploma, or degree, mandatory computer service fees, academic fees, the cost of any books that are included in the total fees for a correspondence course, and fees such as athletic and health services fees when such fees are required to be paid by all students (if not all students are required to pay them, then amounts eligible are limited to $250). the fees were paid (or are eligible to be paid) under a federal program to help athletes, where the payment or reimbursement has not been included in income. In addition, the following are not deductible as tuition fees: students’ association fees, medical care, transportation and parking, meals and lodging, goods of lasting value that the student will keep (such as a computer, microscope, uniform, or an academic gown), and initiation or entrance fees to a professional organization. Filing Requirements. The claim for these credits originates on the student’s Schedule 11 Federal Tuition, Education, and Textbook Amounts. Claim the amounts transferred from a child to a supporting parent or grandparent on Schedule 11. If the transfer is to the student’s spouse, complete Schedule 2 Federal Amounts Transferred From Your Spouse or Common-law Partner. Tax Receipts. The educational institution will issue an official receipt or Form T2202 Education and Textbook Amounts Certificate or Form T2202A Tuition, Education, and Textbook Amounts Certificate showing the amount of tuition paid. Getting a university degree and then working in the public sector will make you richer in retirement, especially if you settle down and live as a couple. Highly educated people working in public administration, education, health care and social assistance will have higher incomes, more generous defined benefit plans, and more money to buy other wealth-enhancing assets, too. According to an excellent study by Statistics Canada, the average wealth of families with Registered Pension Plans (RPPs) in 2012 was $536,000, while those without RPPs had only $191,000. But families without RPPs would have had $359,000 if they had the same socio-economic characteristics; that is, they were born in Canada, have a university degree, living married or common law, and have higher after-tax incomes and longer job tenure. Released in January 2015, the study also notes the enriched retiree who worked in the areas of public administration, education, health care and social assistance, will have a median net worth of $473,400 in retirement. Women pull ahead of men here – more of them have the right kind of pension plan because they tend to be more predominantly employed in these areas. University-educated workers tend to have more generous defined benefit plans, noted the study. A defined benefit plan will make you richer than contributing to a defined contribution plan, especially if you held on to your job for a long period of time. Higher pension wealth in defined benefit plans depends primarily on three factors: the number of years of service, the size of employment income and higher levels of tenure. How the pension is calculated matters, too. “The fact that the majority of public sector plan members receive a benefit based on 2% of their earnings, combined with the use of a lower discount rate to value pension wealth in 2012, likely contributed to this increase,” says a footnote to the study. The Money Moral? Invest in your education, land a job in public education, health care or social work and then stay at your job. You’ll not only end up with a bigger pension, but you’ll own more assets in every other category too. New Facts on Pension Coverage in Canada, by Marie Drolet and René Morissette, observed workers aged 25 to 54 who are covered by defined benefit registered pension plans (RPPs) as well as those covered by defined contribution RPPs or hybrid plans. It does so by using new data from the Longitudinal and International Study of Adults (LISA), first conducted in 2012.